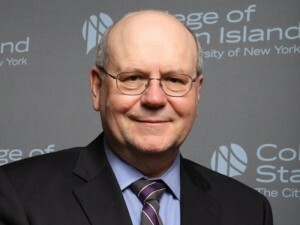 The CUNY Board of Trustees appointed Dr. William J. Fritz President of the College of Staten Island. The Board of Trustees of The City University of New York today appointed Dr. William J. Fritz, an internationally renowned field geologist, as President of the College of Staten Island. Dr. Fritz has been serving as Interim President of the College since August 2012. Interim Chancellor William P. Kelly recommended Dr. Fritz to the Board, which gave its unanimous approval.